First Place in Derby #43 (Slogans), with 609 Votes! Oooh. How clever. We’re all so impressed. If you wear this shirt out to the clubs, the girls (or boys or whatever) just won’t be able to keep their hands off of you. But then, nobody can resist a Shirt.Woot design, because we sell such fantastic, fashion-forward apparel. 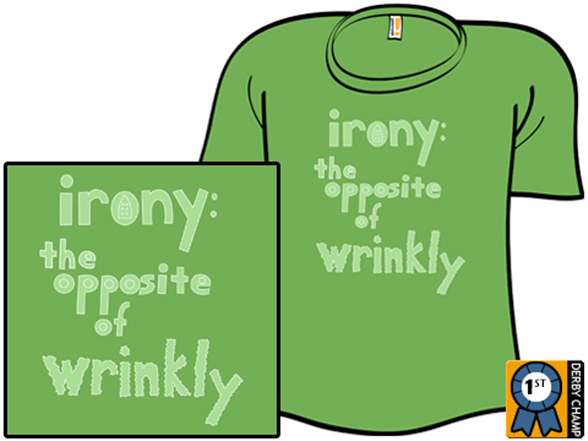 We also love the fact that this shirt adds one more definition of “irony” to the pile. 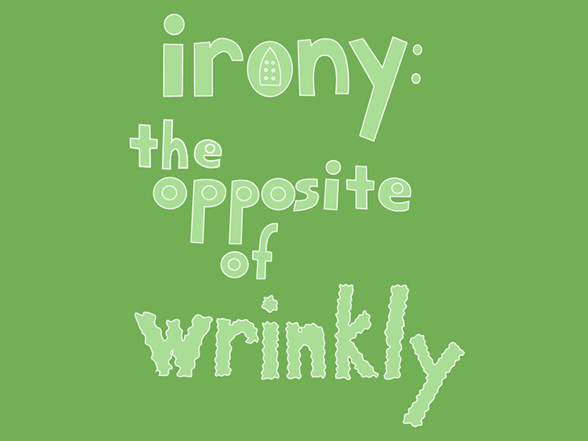 You know, because everybody seems to have such a firm grasp of what “irony” means. Confusing the issue even more, yeah, that’s really helpful. This shirt was designed by: snakeweber. And if you’ve ever had your snake webbed, you know just how painful that can be. Wear this shirt: with your trucker hat, mustache, parachute pants, and big puffy hi-tops with the laces undone. Don’t wear this shirt: if you actually like it because it’s good. Sincere expression of one’s tastes is so pre-MTV. We call this color: So Bad, It’s Grass.